And you unlock full access our self-study learning system as well. That’s 140+ hours of audio/video courses, study tools, bonus apps and more. So you get the best of both worlds – access to a teacher and the ability to learn at your pace with fast, fun and easy lessons. What can you expect the moment you upgrade to Premium PLUS? …but, whatever you do, don’t skip this step! It’s going to serve as the foundation for your entire course, and your teacher will use the information to get you pointed in the right direction. In the end, you will save a lot of time. After you complete the Level Assessment Test, you will receive study recommendations by email so you can get started in the fastest, most efficient way. 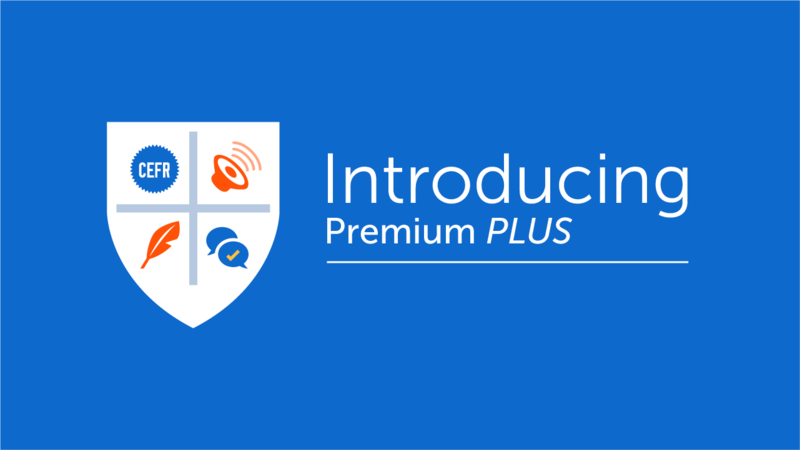 Next, log in to Premium Plus Messenger and write a self-introduction. This key exercise will set the stage for every future relationship you’ll have with speakers of the language you’re studying. If you have trouble with this, it’s no problem. Just ask! Your teacher is there for you. After your teacher receives your self-introduction, he or she will review it, offer feedback and corrections, and help you make it even stronger. Writing your self-introduction is an important step, but how many times will you introduce yourself in writing? Probably not as many times as you’ll need to speak it out loud. That’s why your next step is to record your self-introduction. Few people know this, but this is one of the secrets to learning a language. Your teacher will help you improve pronunciation and fluency, but, more importantly, this activity will give you confidence to use your self-introduction in your everyday life. Your teacher can offer you an unlimited amount of flexibility in organizing your studies. For best results, though, you should set up a self-study schedule ahead of time and then submit it to your teacher. This will help you stay on track, and your teacher can use it to keep you accountable to your commitment. To help you plan, we’ve created a form that lets you break down your study week-by-week. Create your very own word lists to study and share!